Looking for Valentine’s Day ideas? 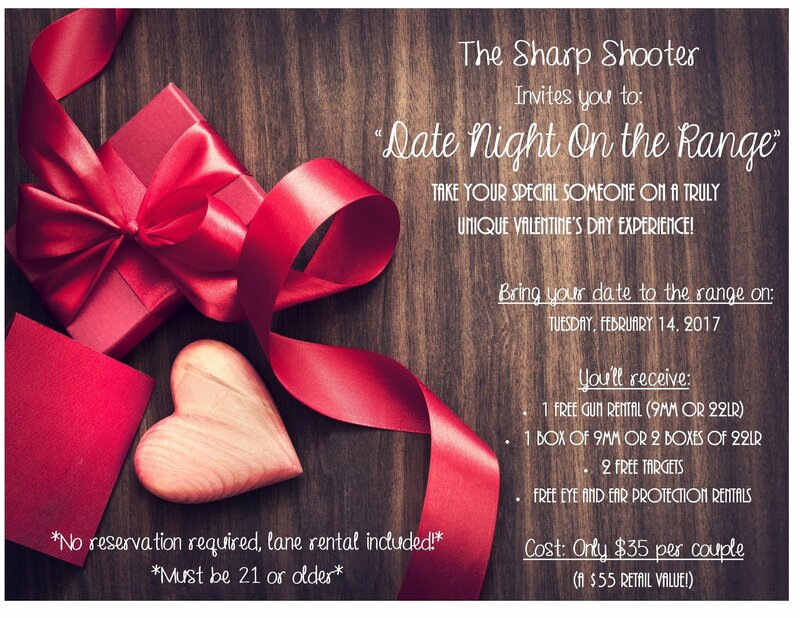 Join us for Date Night on the Range! This Date Night on the Range deal just keeps getting sweeter! Use the hashtag, #TheSharpShooterCC and #TakeAShotAtLove on Facebook or Instagram, for your chance to win a Platinum Membership, a $400 Value!! Platinum Member Perks: Free range time and free firearm rentals for a year for you and a one guest. The Platinum Member will also receive 10% off any new or used merchandise (excluding consignments) every time they make a purchase!